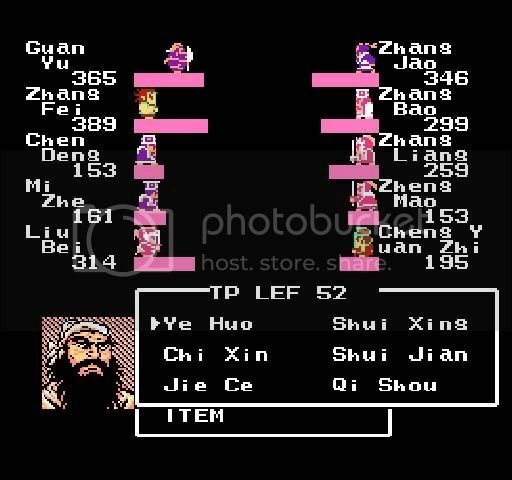 Discussion of other Three Kingdoms games (e.g. Destiny of an Emperor and Dynasty Tactics) and other games by Koei (e.g. Samurai Warriors). There was some discussion about max MTP earlier. 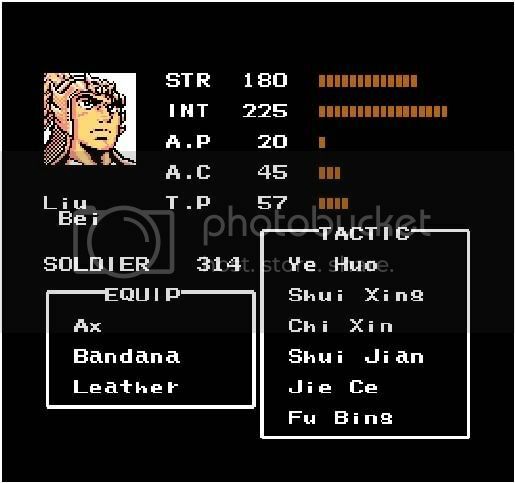 The fundamental problem was that you couldn't learn Fu Bing and thus miss out on earning TP's because you can't get Xu Zhe fast enough because Fu Bing requires 220 INT to learn... Well the only other general you have access to with 220 intelligence before Xu Zhe is Liu Bei. 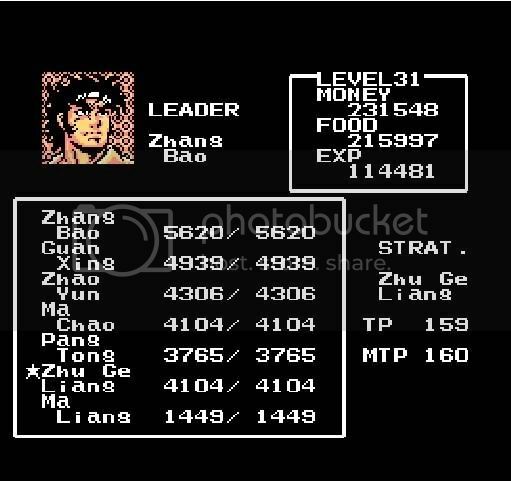 So I am attempting to *painfully* get Liu Bei up to level 12 so he can learn Fu Bing. Right now I'm at level 11. 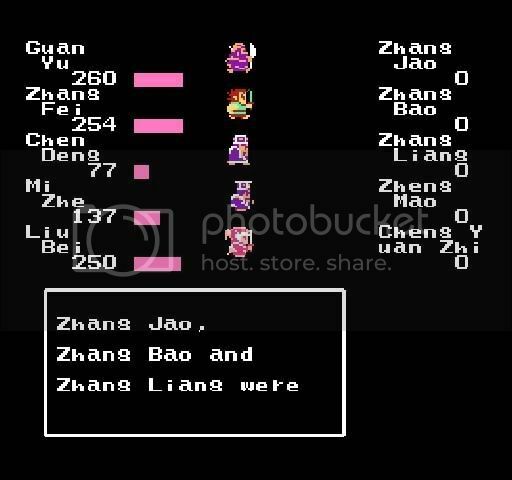 I tried hiring and firing Mi Zhe, Song Ren, and Song Yong thinking that would help me gain experience faster... That didn't really help much and Mi Zhe uses Yan Re against you! Ouch! Once I get to level 12 I will try to get Li Ru before getting to level 13 so I don't miss out on any new tactics. Then I will go for Xu Zhe then Zhuge Liang ASAP. I got the TP's from Fu Bing! Always nice to see there are other DoaE nuts out there. 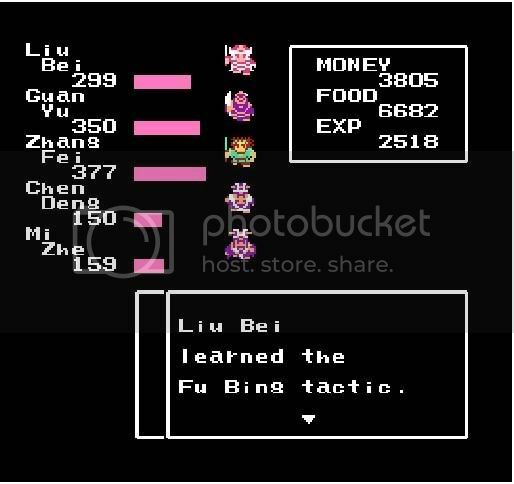 I figured out that Liu Bei could be used to Fu Bing (someone tipped me off in an email a while ago—was it you?) but I haven’t done it yet. Kudos to you for making it happen! Thinking it through, the next step is pretty specific. 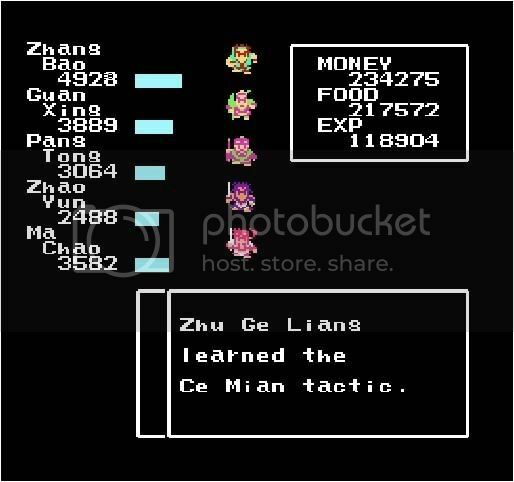 You just need to get Xu Zhe without missing any other important tactics along the way. 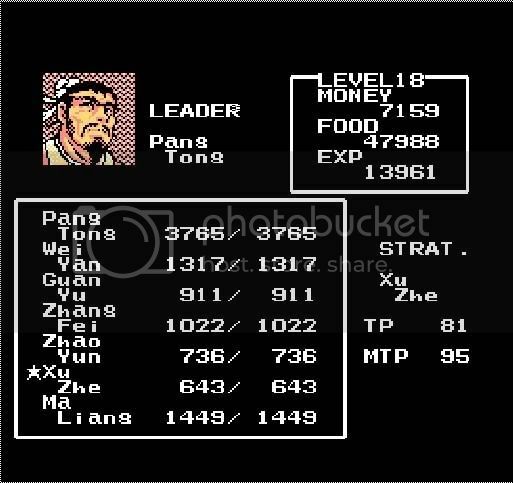 I imagine this could be done with good timing (I think I posted the level up requirements and average experience from battles in the other thread) or by leveling up quite a bit more (ugh) to make sure you can run through Dong Zhuo and Yuan Shu without another level up. I know it can be done, but it comes down to finding the easiest path. 1. 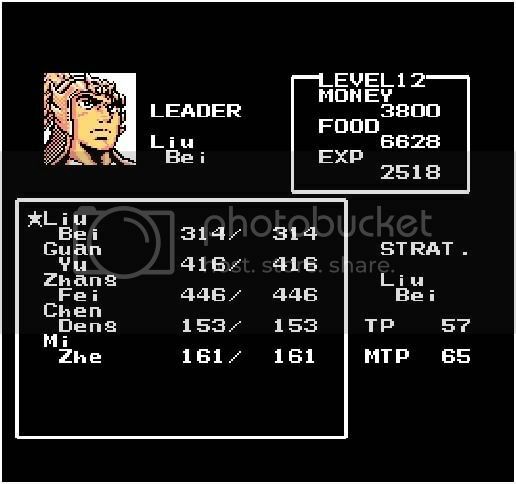 Get Liu Bei up to level 12. 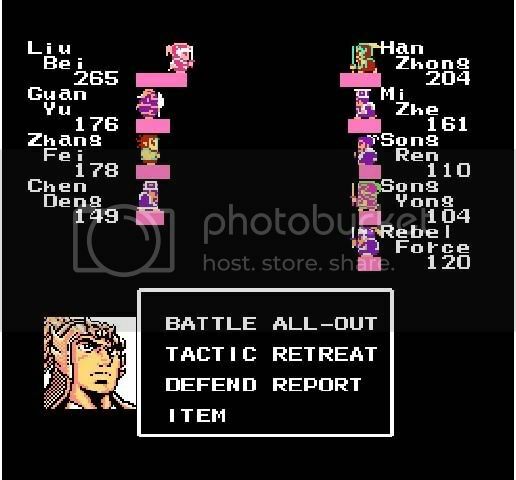 So you think if you set out right at level 12, fighting only necessary battles, it would work? 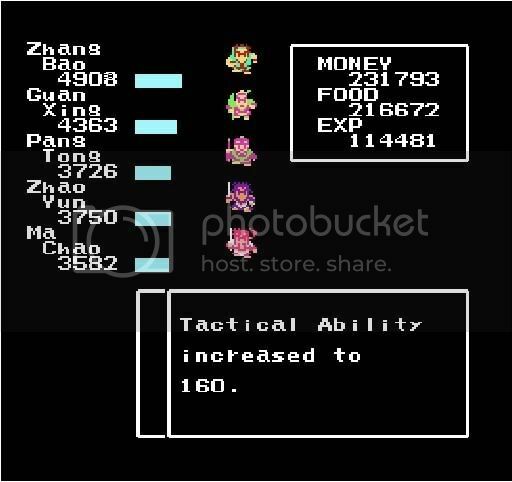 James wrote: So you think if you set out right at level 12, fighting only necessary battles, it would work? 1. 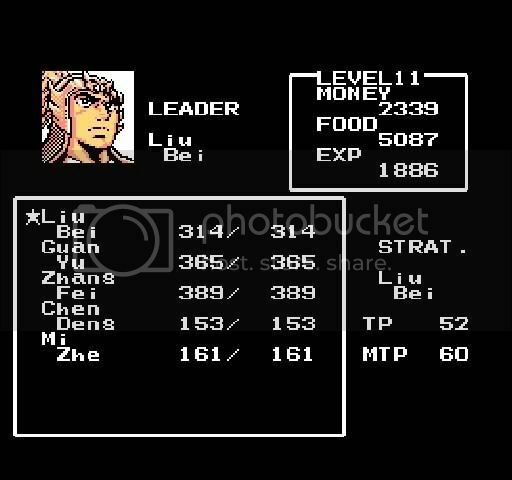 *Painfully* get Liu Bei up to level 12. 2. 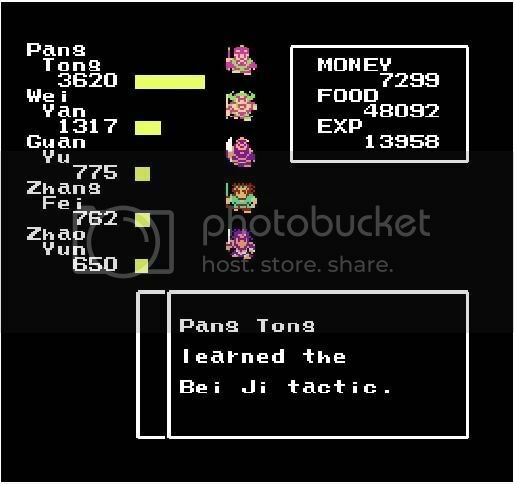 Take Dong Zhuo's first 2 fortresses. I should have saved a copy of my game at level 12 but I didn't... So I will have to start over if I do this again. It might take me a little while to do the level 12 thing again. 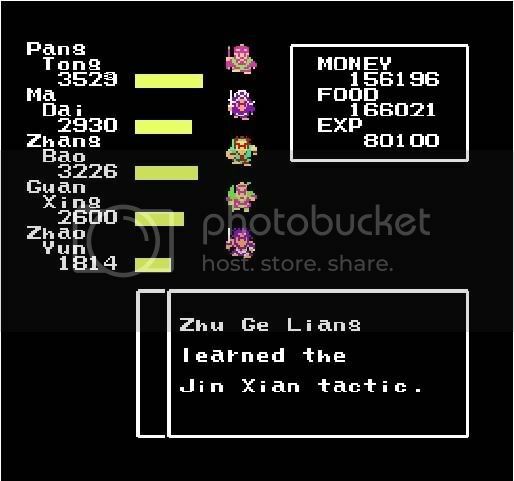 Now just need to keep Pang Tong, have Ma Liang learn An Sha, and have Zhuge Liang learn Jin Xian. Awesome! So basically, you got Fu Bing with Liu Bei, ditched him, and raced as efficiently as you could to Xu Zhe, Zhuge Liang, and Pang Tong? Did you cut it close in any areas, or was it pretty easy sailing from that point? I mean, were you close to leveling where you shouldn’t have? James wrote: Awesome! So basically, you got Fu Bing with Liu Bei, ditched him, and raced as efficiently as you could to Xu Zhe, Zhuge Liang, and Pang Tong? Did you cut it close in any areas, or was it pretty easy sailing from that point? I mean, were you close to leveling where you shouldn’t have? 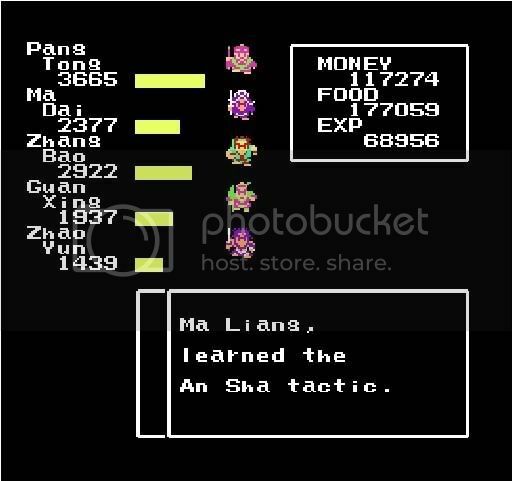 I fought only necessary battles through Dong Zhuo, Yuan Shu, and Jing Zhou but I did have experience points to spare so it really wasn't a close call. If you take Yuan Shao before Jing Zhou you can't do it though. Awesome. I would love to update the information on KMA with your findings. And a side-question, do you still have all these screenshots? The ones that have been uploaded (that are displayed here) are JPG compressed, which results in a lower image quality and makes it hard to scale. 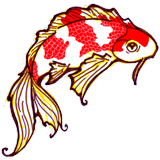 PNG or GIF is usually best for graphics of this type, and most programs save them by default.